I get this question a lot that my system doesn’t have enough disk space to deploy PeopleSoft Image so can I deploy PeopleSoft Image on my external hard drive? In this post I will discuss how you could deploy PeopleSoft Image on your external hard disk. 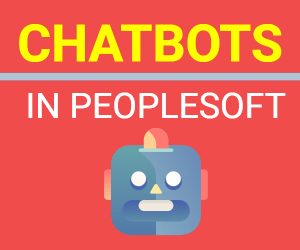 You might know that deploying PeopleSoft Image (PI) requires lot of system resources in terms of memory , CPU and hard disk space. 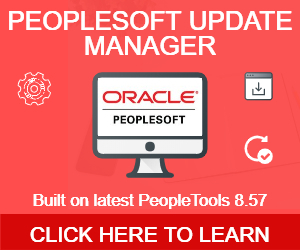 Nowadays, many users are deploying PeopleSoft Image on their personal laptop or system so they can use this as a demo or as a personal training environment. PI is defaulted to use 6 GB of RAM and disk space needed for download, deployment and running Virtual machine would be approximately 100-200 GB. 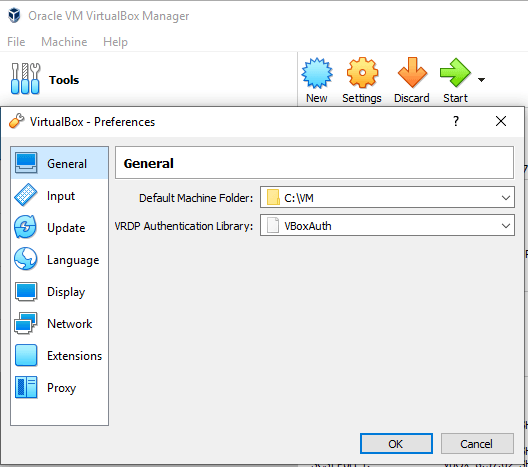 When you deploy PeopleSoft Image using Oracle Virtual box, by default the files that are used by Oracle Virtual box while running the VM are stored in C:\users…. directory. Let’s say you want to change that location to a new disk or external hard drive, here is how you would do that. Before you start the bootstrap script (1st zip file in your downloaded PeopleSoft Image), open Virtual Box Manager and go to File > Preferences. In the General Tab, check the settings for ‘Default Machine Folder’. This is the location that Virtual Box will use to save the VM files and will be referenced whenever VM is up and running. Now you can click on the drop down button and change it to the directory where you want Virtual Box to deploy VM file. If you want to deploy PeopleSoft Image to your external hard drive, then this would be drive letter (eg. F:\) of your external hard drive. Once you’ve selected your target directory, go ahead and start the bootstrap script and PeopleSoft Image deployment process and you should be good. You need to make sure that every time you access PeopleSoft Image, your external hard drive is plugged in , otherwise your VM won’t boot up. You might face some performance issues too given that it’s an external hard drive but it will most likely resolve your problem of not having enough disk space. Let me know in the comment section, if it worked for you or you’ve any other quick tip.